Super quick post tonight. 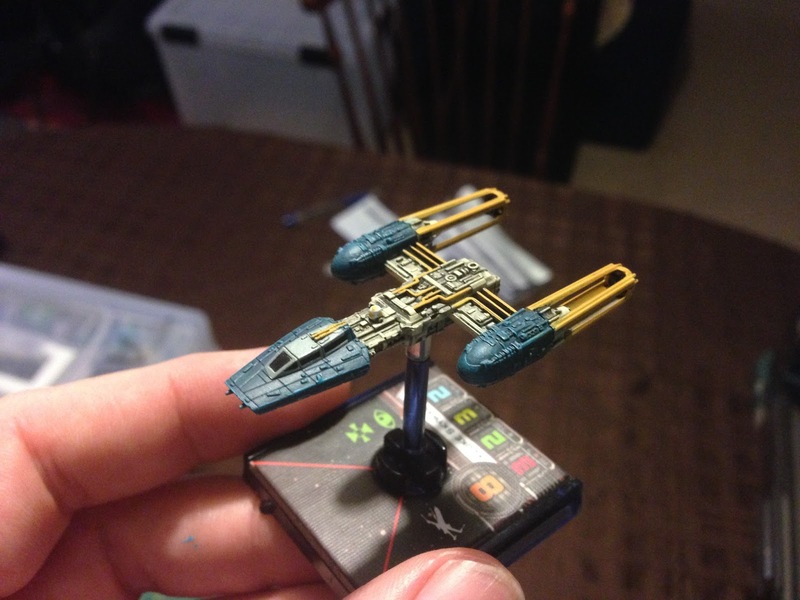 I wanted to have a Y-Wing as an option for the Aturi Cluster campaign, so I painted one up really quickly. I think it turned out ok.